I'm excited to share the schedule for the amazing Babies Need Words Every Day blog tour! 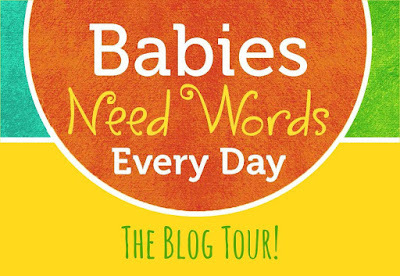 Some amazing ladies are going to be blogging about Babies Need Words Every Day, an ALSC initiative focused on bridging the 30 Million Word Gap, by providing caregivers with proven ways to build their children's literacy skills. The initiative includes eight beautiful posters that share simple rhymes and tips for caregivers to read. There's even a booklist that shares some great books to check out at the library. The best part is that everything is FREE! You can print out as many posters and booklists as you want, and hang them everywhere. Check out the link here to get started. I'll be updating this schedule daily to include the newest posts!